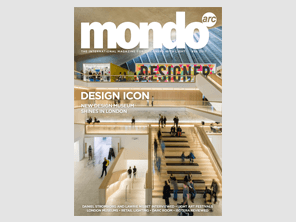 With EuroShop 2017 fast approaching, this issue of mondo*arc features the latest in projects and products from the world of retail lighting. More specifically, we offer a detailed look at Licht Kunst Licht’s considered lighting scheme for three of Kaufhaus des Westens’ new Germany stores (pg. 94), a guide to the latest retail lighting products (pg. 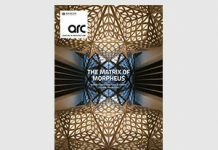 164), and a comment on the current and future retail lighting trends from Dr. Geoff Archenhold (pg. 139). In addition to this, issue 96 takes a look inside London’s Tate Modern extension (pg. 76), new Design Museum (pg. 66), and Mathematics: The Winton Gallery (pg. 88) in celebration of the capital’s cultural offerings. 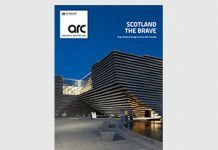 This issue’s more intimate features include a look into the personal experiences of Lawrie Nisbet of LDPi (pg. 44) and Gensler’s Daniel Stromborg (pg. 52). For light art lovers, we have covered a number of recent light art festivals, including: Lyon Fête des Lumières (pg. 120), Manchester’s Lightwaves (pg. 126), Canary Wharf’s Winter Lights (pg. 128) and more. 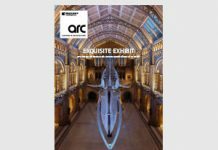 This issue also features details of our darc room exhibition, which will take part in central London in September as part of the London Design Festival. Go to page 62 for more details about this exciting event. With this being only a handful of highlights and features, many more are listed below.